Since 1996, Komen San Diego has funded $13,716,571 to community programs serving local women and men, while contributing $5,930,556 to Komen research. “We are so thankful for the friends, family and neighbors that fight alongside us, helping to reduce the number of breast cancer deaths in California, both on the ground and through research,” said Shaina Gross, president and CEO, Susan G. Komen San Diego. San Diego also has two additional ongoing grants, awarded in previous years, with Komen Scholar Geoffrey Wahl, Ph.D., of the Salk Institute for Biological Studies and Jia Shen, Ph.D., of the University of California, San Diego. 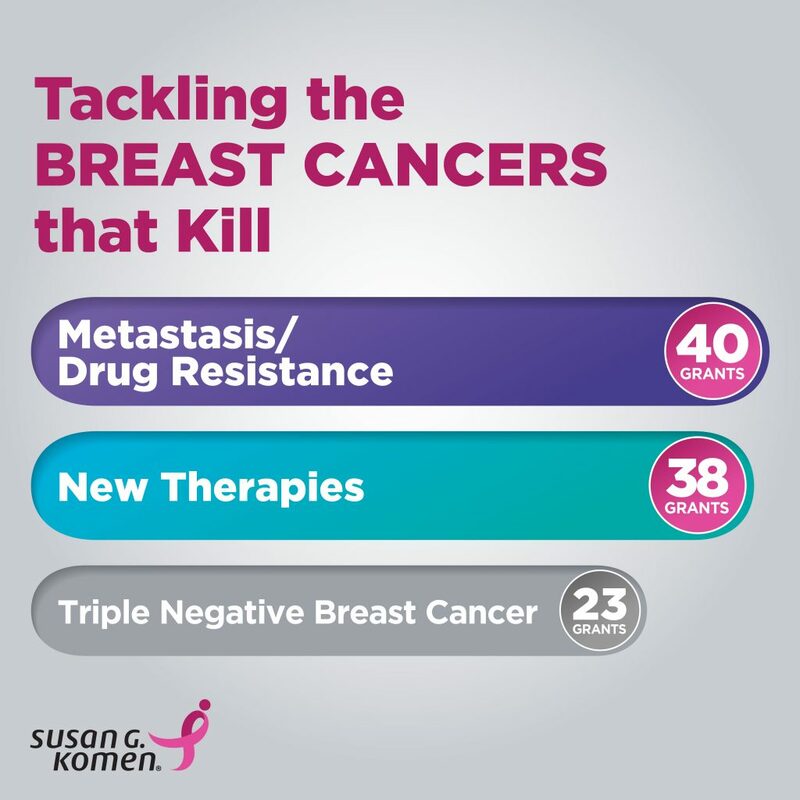 Since its inception in 1995, Susan G. Komen San Diego has invested more than $19.6 million to global breast cancer research and local breast health services. Susan G. Komen is the largest nonprofit funder of breast cancer research outside of the U.S. government and much of that investment has been awarded to scientists in San Diego. Nearly 70 percent of our research investment is focused on metastatic disease. 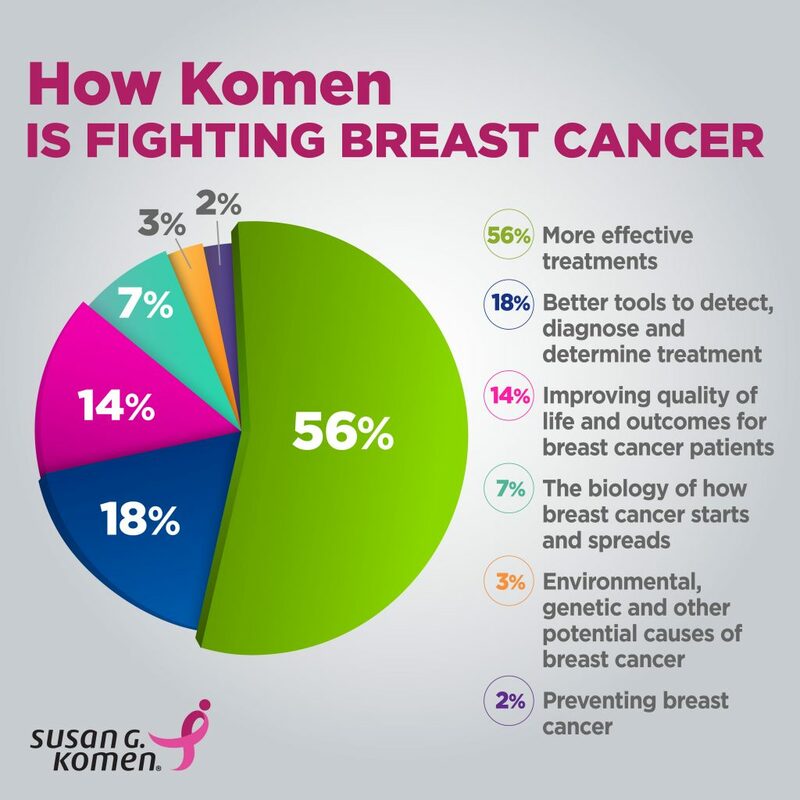 Locally, Komen San Diego provides free mammograms, biopsies, ultrasounds, MRIs, care coordination, education and financial assistance for breast cancer patients’ most critical needs during treatment. The organization also has a robust public policy and advocacy arm to ensure healthcare access and scientific progress. Komen has set a Bold Goal to reduce the current number of breast cancer deaths by 50 percent in the U.S. by 2026. Seventy-five percent of every dollar raised in San Diego stays in San Diego County to fund breast health services for uninsured and underinsured women and their families. The remaining 25 percent funds international breast cancer research. For more information, please visit www.komensandiego.org. Connect with us on Facebook and Twitter and Instagram.